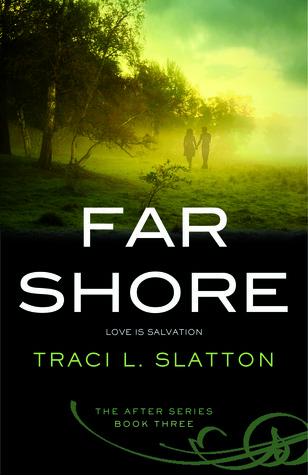 Far Shore was a surprising follow-up to Cold Light. Gikany and Una liked this third edition in the After series. For those who have followed our reviews of this series, yes, the After trilogy is now a series, but that is not the only surprise waiting for you in Far Shore. Please note that due to the nature of this series, there are minor spoilers for the previous novels contained within this review. You have been warned! Emma finds herself faced with a bitter choice as Far Shore opens. After making the choice to stay with Haywood and return to Canada at the conclusion of Cold Light, her friends have sought her out for assistance. Haywood gives her an ultimatum: stay with him and the children, or go and never see them again. With the history, love, and connection that Emma and Arthur have, it is not surprising that Emma leaves to help rescue Arthur from Alexei. We never expected the road that this choice would take Emma, nor how the world would change. In Far Shore, we truly experience how the world is evolving. Not only are the Mists changing, but so are the people and their abilities. We were fascinated by the changes – not just in in the skills and abilities, but in the hearts of some of the characters. As much as Emma has struggled in the past two novels, it truly hits home in Far Shore. Her choices lead her to a climactic moment in her personal growth. We respect and were captivated by what happens after she rescues Arthur. Emma truly shines as she struggles to make the best of the only choice her heart could have made. We were humbled and terrified with her. The despair and desperation she experiences is palpable. When she was faced with temptation – Gikany and Una were torn apart, hoping she would not give in. Emma’s endurance kept us glued to the pages as we continued to read in hopes that the tide would turn in her favor. Although there are some very flagrantly obvious foreshadowing moments, the ending was surprising. Considering that this series began as a trilogy, to have a cliffhanger ending at the conclusion of the third book was surprising. However, we can see that maybe there is too much left to try to cram it in. We have many remaining questions. We hope that Emma is reunited with her children. We know Arthur is trying to eradicate the mists – will he succeed? Will Emma openly and honestly choose between Haywood and Arthur and end the strife? (We hope she chooses Arthur and regains her children). Will we be able to understand Haywood (because he seems like an absolute jerk)? Will we discover why some people are evolving like the mists and others are not? As you can see, the world of The After series continues to fascinate and enthrall us. We liked it and eagerly await the next novel in this series. We must know what happens next! If you enjoy post-apocalyptic romantic dramas, pick up The After series. I didn’t read through this review, but I did read through your review on Fallen. This sounds like such an interesting world to read into and it’s great that the series is going to go past the 3rd book (I might have read the very beginning of this review, haha). I’ll have to put Fallen on my TBR list and check it out sometime to see what this series is all about. Also, I’ve always wondered, do you ladies read the books together or separately and then discuss them? It is a very interesting world. The mythology of the Mists, the connections of the people to the Mists, the evolution that is taking place….it’s all very fascinating. All of this is twined into this, at times, heartbreaking and unexpected love story. But we do seriously recommend reading it from the beginning. This is a story that builds. Yes, Gikany and I both read the books then discuss them. It is much easier with the ebooks now, because we can read them at the same time, but with the ARC in paperback, we read and take notes. Once we have both completed the novel, we then meet to discuss and write the review. We are very much a team. It’s really fun for us because not only do we love to read, we love to discuss books! Jen allows us to do this for her which is just an awesome opportunity. I’ll definitely take your recommendation and read the series from the beginning!